It is the goal of every athlete to improve speed for better performance. In fact, no matter what sports, you are in, you need to be faster than your opponent. To achieve such a fitness level and ensure optimum performance, speed training exercises should be a part of your regular training. 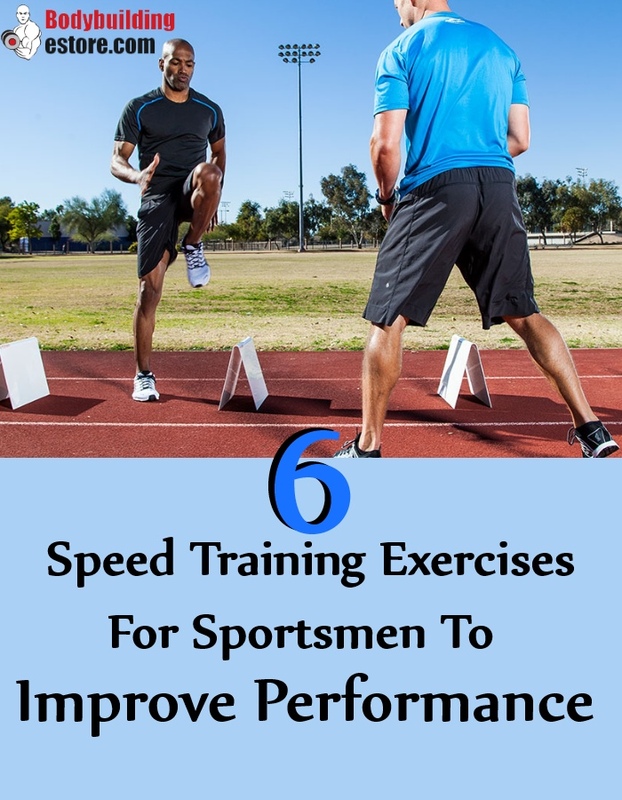 These exercises help in not just improving speed but also help in ensuring total body strength and also conditioning. Athletes speed training exercises are especially focused on maximizing strength and fitness in athletes, as they perform. Several athletic movements are done with a single leg. This includes sprinting. Thus, it is important to do single leg exercises in training. This exercise is done with dumbbells by the side. Your back foot shall be comfortably elevated on the bench. You need to squat as your back is kept straight. You need to push through the heels and extend your front knee. You hips shall get back to the original position. This will be one repetition. You need to do the same movement 10 times. 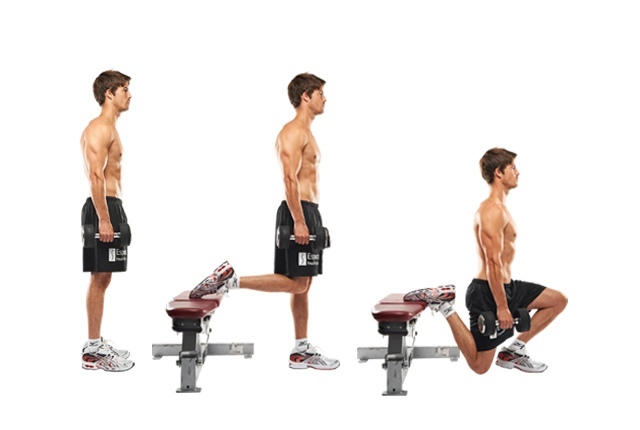 This is an explosive exercise which helps in building power and stamina for legs. Runners can improve their speed with regular practice. Start by standing on a bench. You need to be in a comfortable position. You need to slowly step off the edge and quickly jump as soon as you are touching the ground. This jump can be a broad jump or a vertical one. Either way is really effective. You can use a medium size bench which shall help in minimizing the force which gets absorbed as one lands. Do this jump at least 12-15 times. Hamstring muscles are quite important in supporting the upper leg muscles which play an important role in developing speed. This stretch also helps in bending the knees and moving the hips. These muscles help in running. For this exercise, you need to start by placing the right foot just in front. You can then hinge at your waist region and move your body a bit forward. You will be moving your body towards the right leg extended. To gain balance and comfort, you can bend the supporting knee. Now, slowly flex the right ankle so that you are able to pull the knees close to your body. Hold for some relaxation breathing. You can again repeat using your left foot. You can count 10-12 times. This exercise is simple and can be completely even when you are in a hurry. You can start by standing with your feet wide. You can keep your feet wider than the width of your shoulders. Keep your toes turned around slightly. You can then drop in a deep squat once again. Your hands can touch the floor. Now, explode into a jump position, just as a frog would do. You can then land again softly on your feet. 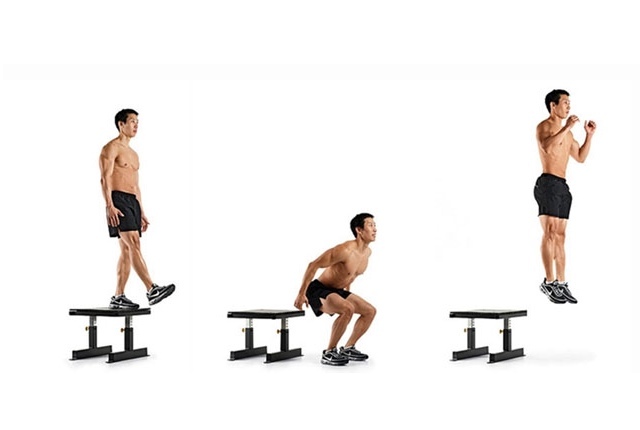 Repeat the exercise with special emphasis on the vertical height of a jump. Sprinting needs a lot of core stability and a lot of flexibility. Thus, for speed training, a number of core stability exercises are quite essential. 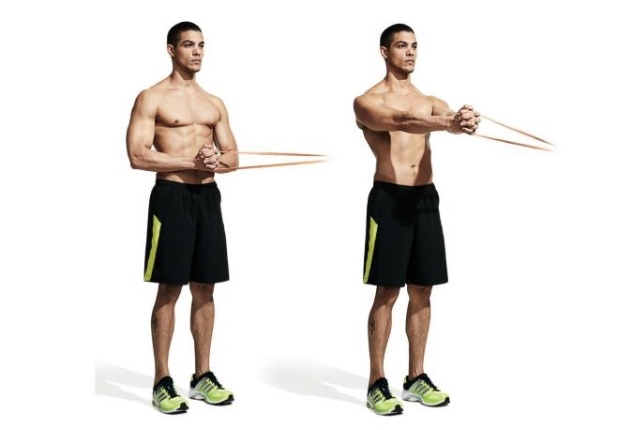 To do this workout, you can start by setting up a cable handle at the level of your chest. You can take some steps away from the machine so that you are able to unrack a weight. You can again press the handle away and move it away from the chest. You can hold this at your arm’s length. Wait for a few seconds and as you quickly stabilize the torso, you can squeeze the abs. You can return the handle towards your chest. You can repeat. You should complete the exercise on both your sides. Start by standing with your feet close together. You need to be in a comfortable position as you keep your arms by the side. Now, brace your core and then slowly send back your hips. Do not rush but move slowly. Take a step towards the right with the right foot. You need to bend your right knee and keep the left leg straight. You will get in a low lunge position. From this position, you will push off your right foot and quickly hop on the right foot. You shall place your right foot on the place of your left foot. At the same time, you will be sending the left foot out. 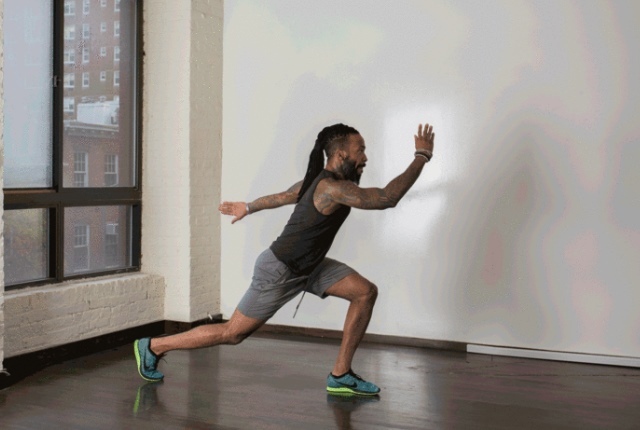 Get into a low lunge position on your left side. This shall be a side step but with a good hop. You will repeat the movement to different sides.